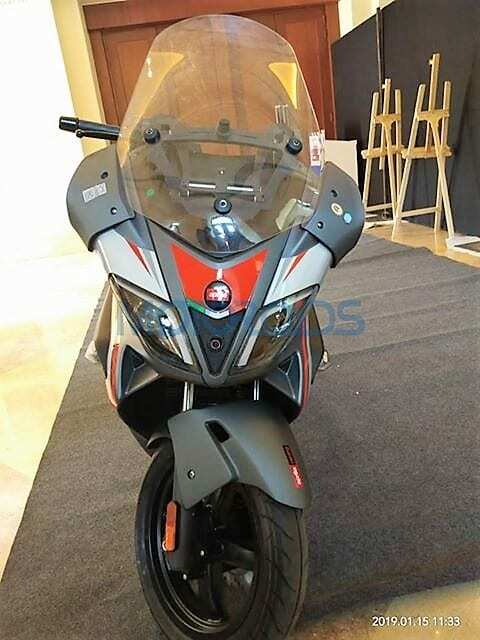 Aprilia SR Max 300 was recently spotted undisguised in Goa. The power scooter looks amazing with its huge front fairing, creating a superbike effect for the rider by keeping the wind effect away at all times. 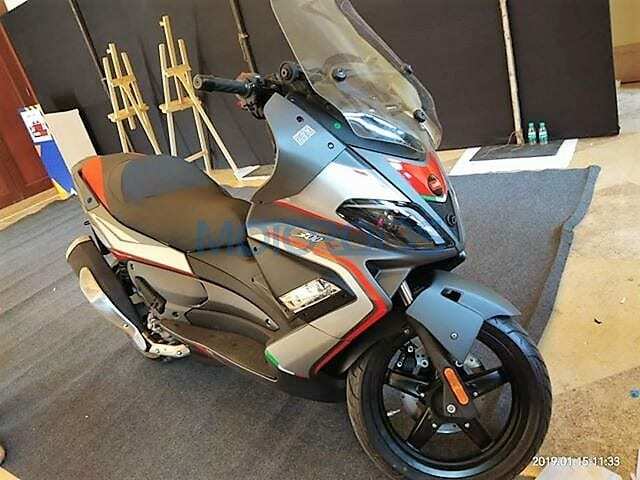 The model spotted here comes with base grey shade with iconic silver/red highlights like the other sporty Aprilia models sold globally. The front windshield is massive in size and panels surrounding the same are even wider. The front fascia consists of two LED headlights with daytime running lights, integrated turn indicators, sporty front fender, and conventional telescopic forks. The front alloy wheel measures 15-inch in diameter. The superbike style 120-section rubber at the front ensures optimum grip levels while rear comes with a 14-inch alloy wheel with 140-section rubber. 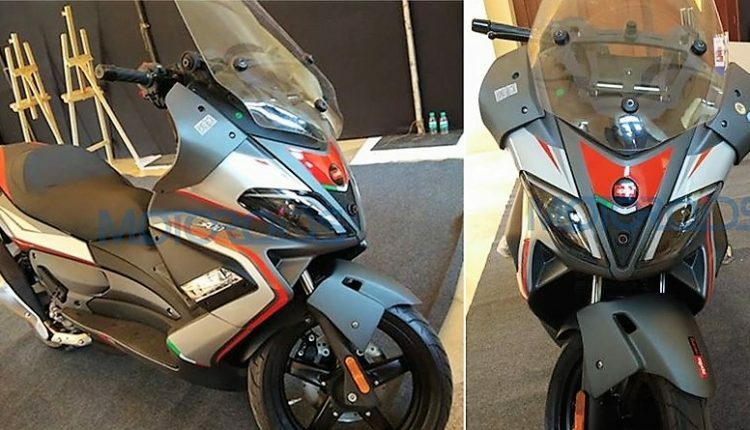 The side profile is equally amazing as Aprilia SR Max 300 comes with motorcycle-inspired exhaust with chrome outer panel. The international model has a different exhaust design in comparison to the model spotted in India. The 278cc, single cylinder engine on the scooter is good for 22 HP at 7250 rpm and 23 Nm at 6000 rpm. The engine comes with liquid cooling and fuel injection as standard. The front forks measures 35mm in diameter. The split footboard on the Aprilia SR Max 300 allows the rider to change foot positions while the rear footpegs are seen tucked into the body. The huge seat is another point of benefit for the rider as decently long rides will not be a matter of problem for two on SR Max 300. The GT-style bodywork and loads of under seat storage make the scooter an impressive option for premium product lovers of India. 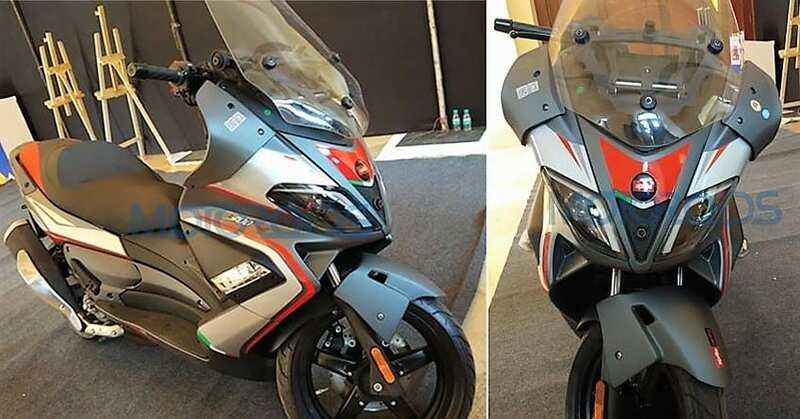 Aprilia can bring this one to start an all-new segment where no current product is placed in the country. The price will definitely reach INR 2 lakh (ex-showroom).